In the summer of 1994, Thomas Jefferson was put on trial. With William Rehnquist, then-chief justice of the Supreme Court, presiding, the mock trial organized by the Association of the Bar of the City of New York indicted Jefferson on three counts: He undermined the independence of the federal judiciary, lived in the lavish manner of an American Louis XIV, and disregarded the Bill of Rights. "You must judge him not by the standards of the present day," Rehnquist toldthe crowd of jurors at the event, "but by those that he himself espoused." After hearing testimony from history professors for both the prosecution and the defense, the jurors reached a verdict: not guilty. One wonders if the jury would reach a different verdict today. The founding fathers and other national icons often seem to be perpetually on trial—and none more so than Jefferson, the author of the Declaration of Independence and third U.S. president. Architect of the American creed of unalienable rights and liberty, Jefferson nonetheless owned dozens of slaves, likely fathered six children with his slave Sally Hemings, and freed only seven of his slaves (all members of the Hemings family); he wrote in his only book, Notes on the State of Virginia, of his "suspicion" that blacks "are inferior to the whites in the endowments both of body and mind"; and he never assumed a leading role in the cause to end slavery. For many scholars and an increasing number of Americans, this is enough evidence to convict Jefferson of being a "creepy, brutal hypocrite" and "deeply racist," in the words of legal historian Paul Finkelman. Several state chapters of the Democratic Party, whose origins can be traced back to Jefferson’s Republicans, have dropped the names of Jefferson and Andrew Jackson from their annual Jefferson-Jackson dinners to "align with the values" of modern-day Democrats. In 2015, dozens of students at the University of Missouri demanded the removal of a Jefferson statue on campus that symbolized "the dehumanization of black individuals who Jefferson himself viewed as inferior." Not that long ago, in 1993, then-President Bill Clinton praised Jefferson as "perhaps the most brilliant of our founding fathers" on the 250th anniversary of his birth. What explains the dramatic decline in Jefferson's reputation? As with many trends in popular culture, it started in the academy. Dissatisfied with the generally positive stance of Dumas Malone and Merrill Peterson, the foremost Jefferson scholars of the 20th century (dubbed the "Charlottesville Mafia" for their professorships at the University of Virginia, founded by Jefferson), recent generations of historians have stressed the need for more critical views of Jefferson’s contradictions and hypocrisies. Peter Onuf, a Thomas Jefferson Memorial Foundation professor at Virginia, correctly predicted that scholarly frustration with Jefferson—that he was a "monster of self-deception" whose "ideas now circulate as the debased coin of our democratic culture," as Onuf put it in 1993—would seep into public thinking as identity politics and the veneration of diversity became more salient. Jefferson is too resonant and enigmatic of a figure to be left buried in his time and place, remembered as a national hero for his immutable ideals. "Jefferson has risen from the dead," as historian Joseph Ellis wrote in 1994, and he has become the villain. In this adversarial climate, John Boles's new biography, Jefferson: Architect of American Liberty, is a timely and welcome addition to the Jefferson literature. Boles, a history professor at Rice University and former editor of the Journal of Southern History, endeavors to present a balanced view of Jefferson's flaws and contributions to American identity. "Once lauded as the champion of the little man," Boles writes of Jefferson, "today he is vilified as a hypocritical slave owner, professing a love of liberty while quietly driving his own slaves to labor harder in his pursuit of personal luxury. Surely an interpretative middle ground is possible, if not necessary." Jefferson's perspectives on race and slavery must be faced squarely, Boles acknowledges, but the historian rightly notes that we impoverish our understanding of Jefferson if we neglect his contributions to political liberty and religious freedom. Boles's 500-page single-volume biography is "admittedly sympathetic but critical when appropriate," and though generally even-handed, he is perhaps too sympathetic toward Jefferson when he writes that, "For Jefferson, owning slaves was a means to an end—improving and sustaining Monticello." This is not the definitive biography of Jefferson—Peterson’s 1,000-page Thomas Jefferson and the New Nation and Malone’s six-volume masterwork Jefferson and His Timestill tower over all other efforts—but it is surely the best place to start for a new generation of students and Americans seeking to understand the paradoxical sage of Monticello. 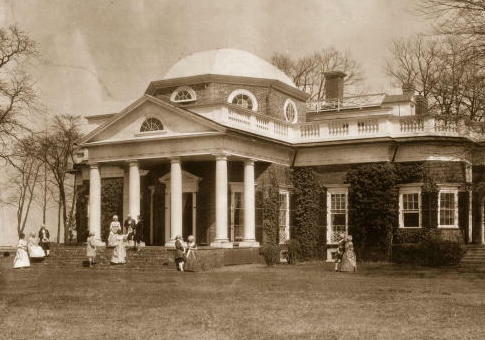 Jefferson's father Peter married into the wealthy Randolph family, and Thomas (1743-1826) lived a comfortable childhood among Virginia’s aristocratic and slaveholding elite. After his father died when he was 14, he was raised by the Randolphs and studied under the Reverend James Maury, from whom he developed a lifelong love of learning and the classics. Both Maury and William Small, a professor and scientist at the College of William & Mary, instilled in Jefferson an appreciation of rational thought and opposition to slavery. Less a systematic political thinker than a visionary, Jefferson had the ability to mine decades of political thought and philosophy for concise, abstract truths. His authorship of A Summary View of the Rights of British America in 1774, the most radical pamphlet of the time, made him a natural fit for composing the Declaration of Independence. The purpose of the Declaration, Jefferson wrote, was "not to find out new principles, or new arguments … but to place before mankind the common sense of the subject. 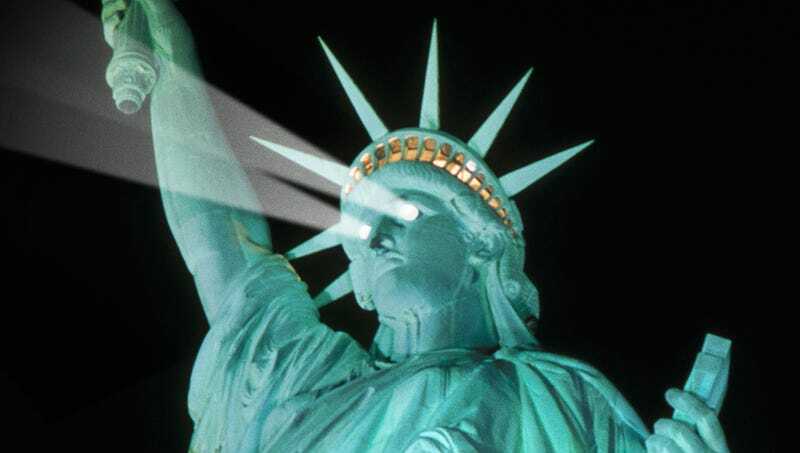 … it was intended to be an expression of the American mind." As Edmund Randolph wrote, Jefferson tended "to run before the times in which he lived." Despite his aristocratic upbringing, Boles writes that "no other Founder was so ideologically supportive of a democratic society": Jefferson proposed bills as a state lawmaker to abolish the hereditary practices of entail and primogeniture, promoting his vision of a republic where lower- and middle-class white farmers could purchase land and protect their rights and freedoms. Confronting the powerful Anglican Church establishment in Virginia that had persecuted Catholics, Baptists, and other religious minorities, Jefferson authored the Virginia Statute for Religious Freedom (the first law of its kind when it passed in 1786) that prohibited state coercion and discrimination based on religious belief. "Our civil rights have no dependence on our religious opinions," Jefferson wrote in the statute's philosophical preamble, a position that was not shared by many of his compatriots. Jefferson designed his gravestone at Monticello to include his three most progressive accomplishments: author of the Declaration and the Virginia Statute for Religious Freedom, and founder of the University of Virginia, the first modern research university. Left off his tombstone was his instrumental role in the creation of the nation’s first political parties, as well as his consequential two-term presidency. Suspicious of Alexander Hamilton (secretary of the Treasury in the George Washington administration while Jefferson served as secretary of state) for his centralizing policies, ties to moneyed interests, and professed admiration of Julius Caesar, Jefferson feared that Hamilton wanted to betray the Constitution's republican principles and institute a British-style monarchy. Hamilton, for his part, mistrusted Jefferson for the latter's approval of the sanguinary French Revolution, and supporters of the two camps formed the Republicans (Jefferson) and Federalists (Hamilton) in the 1790s. While Jefferson served as vice president under John Adams, a Federalist, the specter of war with Napoleonic France further inflamed partisan tensions. The Federalists overreached with the Alien and Sedition Acts, passed in 1798, that threatened fines and jail time for opposing the Adams administration. Beset by infighting between Adams and Hamilton and public blowback from the sedition acts, the Federalists crumbled as a party, propelling Jefferson to the presidency in 1800. Labeling his election victory "the revolution of 1800," Jefferson sought to implement his vision of a "wise and frugal government" that only exercised powers enumerated by the Constitution: He worked with Congress in his first term to lower taxes, pay off the federal debt, reduce the size of the military and the federal workforce, and repeal the Judiciary Act that had expanded the jurisdictions of the Federalist-dominated federal courts. An idealist, Jefferson was nonetheless pragmatic when it came to realizing his vision: He decided against seeking a constitutional amendment for the Louisiana Purchase when it appeared that delay could risk the treaty. It was Jefferson who gave us the notion of American exceptionalism—of America as the "world's best hope" for securing and promoting freedom and self-government, as he put it in his first inaugural address. Yet for all of Jefferson's successes in effecting his vision for America, he was still "a man thoroughly of his own time," Boles writes, "which sometimes surprises us because we imagine him as so ahead of it." This is the root of the modern frustration with Jefferson's contradictions on race and slavery: How could Jefferson have several children with his slave Sally Hemings and still express his aversion to racial integration in the final months of his life? Why did he publicly state his opposition to slavery throughout his life but fail to actively champion the cause of emancipation? Jefferson may have believed that state laws and his massive personal debts prevented him from freeing his slaves (though he still indulged in fine wines and salad oils at Monticello), and he feared that, after the Missouri Crisis of 1819, more divisive national debates about slavery could endanger the union he helped found. Boles devotes a full chapter to the paradox of Jefferson’s life as a slaveholder, but he mostly focuses on the external events of his career throughout the book, declining to tackle the more inscrutable aspects of Jefferson’s personality. His biography thus reads at times like an unfinished building: solid and sturdy in its foundations and exterior, but hollow at the core. meant to set up a standard maxim for free society, which should be familiar to all, and revered by all; constantly looked to, constantly labored for, and even though never perfectly attained, constantly approximated, and thereby constantly spreading and deepening its influence, and augmenting the happiness and value of life to all people of all colors everywhere. Jefferson's ideals, constantly labored for and approximated, are what we rightly celebrate on Independence Day.